You want to be able to make changes to your website simply and easily. But most content management systems require an advanced degree to use them properly. Not when you own a website designed by the team at ScuttleBird! 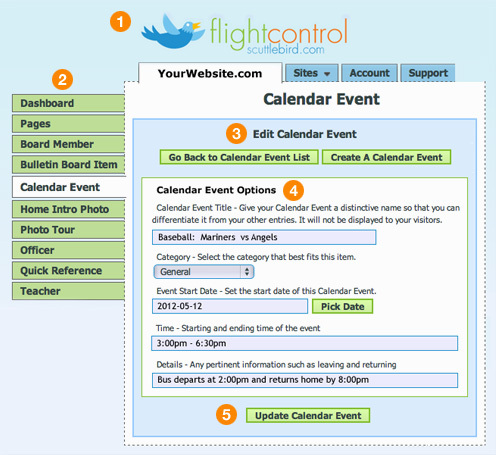 We've developed a simple system called FlightControls™ that enables you to quickly make changes to your website. Login to your FlightControl™ account. Click on the page you want to change. Create a new item – or edit an existing item. Follow the instructions – fill in the boxes. That's it. You just updated your website!